About the artist. Vince Vozzo was born in Sydney in 1954 and studied art at Liverpool TAFE, East Sydney College and Alexander Mackie College of Advanced Education. In a career spanning three decades, Vozzo has exhibited in 32 solo exhibitions and produced thousands of artworks in different mediums. He has featured in numerous group exhibitions, most notably Sydney’s Sculpture by the Sea, where his magnificent sculpture has loomed large over the coastal horizon more 13 times to date. 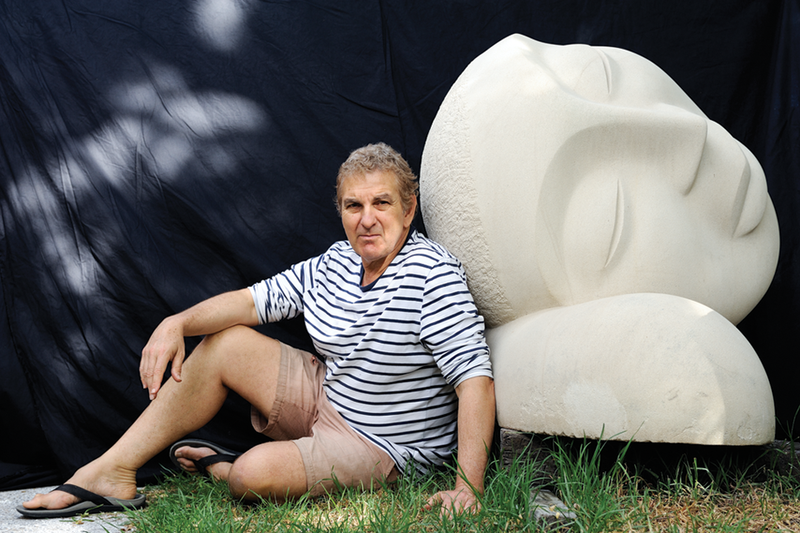 His work has been included in 36 prize exhibitions and with eight selections in the prestigious Wynne Prize, Vozzo holds the record for a sculptor in that competition. He has been the recipient of numerous awards and commissions most notably the Ligurian Society Art Travel Scholarship to Pietrasanta, Italy and the Norton Sculpture Award. Click here to see a full list of Vozzo’s exhibitions. Vozzo’s work is represented in private and public collections in Australia, Europe, USA and Asia. His work has received widespread media coverage, including in McCulloch’s Encyclopaedia of Australian Art, the Australian Mildura Sculpture Triennial and the Australian Art Review. Vince’s work has also been seen on the small screen, including a sand scuplture that he created for Robert Hughes’ The Fatal Shore which aired on SBS and the BBC. To read more about the creative world of Vince Vozzo, download this free sample from the book VOZZO IN FOCUS. The artist lives and works in Sydney’s inner western suburbs. 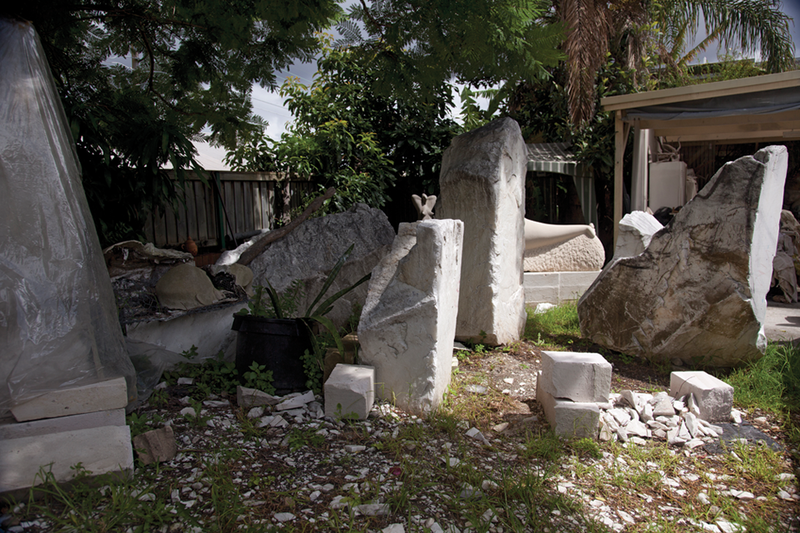 His outdoor workshop in Enmore is home to many works-in-progress and giant chunks of marble, sandstone and other raw materials.